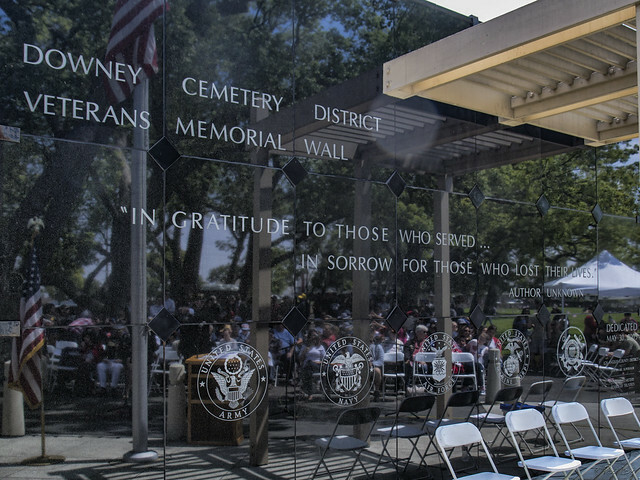 On this Memorial Day, I once again attended the Memorial Day Ceremony that is held at the Downey Cemetery each year. There is much to be moved by at each year's ceremony. But to me, the quote on this wall is always meaningful: "In gratitude to those who served ... in sorrow for those who lost their lives." In the stone's reflection, you can see the crowd that has gathered to remember and honor those who have served their country. In the other direction, you can see the grave markers. 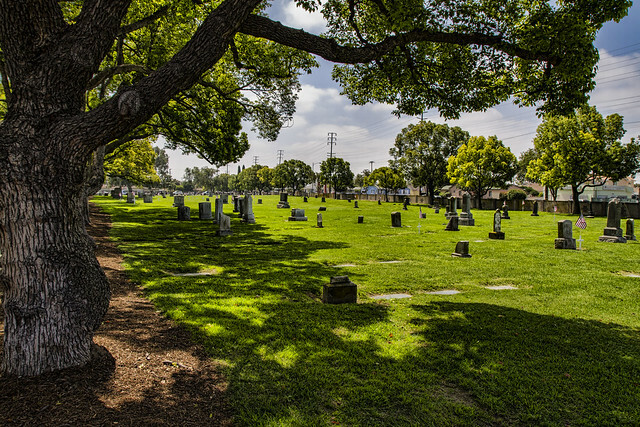 And if you look closely, you'll also see the white crosses and American flags that mark the graves of the servicemen and women who are buried here. Many of the crosses have gone missing over the years, and for the past two years, a couple of local Explorer Scouts have made it their project to replace and restore them—a fitting project for the holiday originally known as Decoration Day.